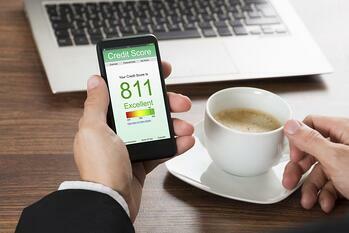 We’ve all heard the term 'credit scores', but do you know what they mean? A credit score, also referred to as a FICO score, is a three-digit number that is generated by pulling information from your credit report. It is used as a predictor of how likely you are to become dependent on your credit or fall into delinquency with your payments. It is also used to help determine whether you will be approved for loans, mortgages, credit cards, and more. 90% of financial institutions in the United States use your FICO score in their decision making process. The higher your score, the better it is. WHAT DOES AFFECT YOUR CREDIT SCORE? > Payment History (35%): Your account’s payment information. This includes any late payments and public records. > Amounts Owed (30%): How much credit you are using and how much you have available. > New Credit (10%): New credit lines you open, this also includes inquiries into new credit. WHAT DOESN'T AFFECT YOUR CREDIT SCORE? Here are some quick tips to help rebuild your credit (or help maintain it if you’re doing well or just starting to build it). Pay Bills on Time – This is one of the easiest things you can do to keep up your credit score. Either keep a calendar to remind you when your bills are due or sign up for automatic bill pay through our home banking system so you’ll never forget another payment. Even if you are trying to save money, prioritize paying your bills because even just one late payment will hurt. After several months of consistent, on-time payment, you’ll see your score begin to rise. Get Rid of Small Balances – If you use several cards and have small balances on all of them, as opposed to a larger balance on one or two cards, this can actually hurt your score. Pay off all of your balances and start fresh. Pick a card or two as your go-to options and use those consistently. Do some research and see if you can find a card with rewards so you can get a little bonus while maintaining your good credit. You should also try to aim to only use about 30% of your available credit. To help with this, see if it’s possible to make multiple payments a month to keep you under that ratio. Leave Good Debt on your Report – Yes, there is such thing as good debt. This is any debt that you’ve handled well and paid as agreed, such as student loans, car loans, or a mortgage. This will help expand your length of credit and show you have a history of making and completing payments. Relax & Be Patient – Your score won’t change overnight no matter what you do, so don’t be disappointed or give up. It takes a lot longer to build up a good score than it does for a score to fall. If you have a major mark on your credit record, such as bankruptcy, it will take about 7 to 10 years to clear. Just keep applying the steps above consistently and keep track of your score on a regular (but not obsessive, that’ll only drive you crazy) basis and you’ll see a change. If you are thinking about applying for a mortgage soon, but your credit score isn't quite where you would like it to be, we can help. Our qualified and experienced loan advisors can sit down with you, take a look at your finances, and create a plan to improve your score. To set up an appointment with an advisor, check out our website or call (801) 260-7600 ex. 5340.